A few years ago I attended an estate auction in Ohio. The auction was loaded with lots of great antiques, primitives and antique furniture. However something else soon caught my attention! Among the items displayed on the tables for sale that day were a large selection of covered bridge pictures. These pictures were in Walmart vinyl albums containing 12 double sided plastic sleeves and included the negatives in the back pocket. 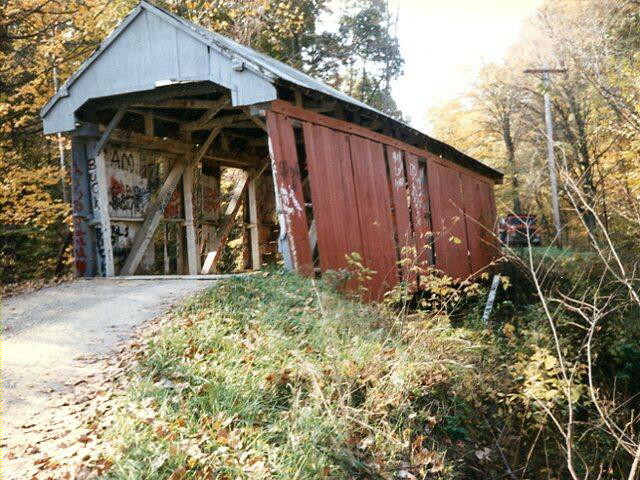 My best guess at the time was that there were probably in excess of 100 pictures of different covered bridges. With some bridges pictured more that once with a total picture count in the two hundred plus range. Two auctioneers were selling with two auction rings in progress at the same time. So I had to keep a close lookout as I wanted to buy some of the antique furniture. Which featured one of the better mahogany dining room sets I had seen. 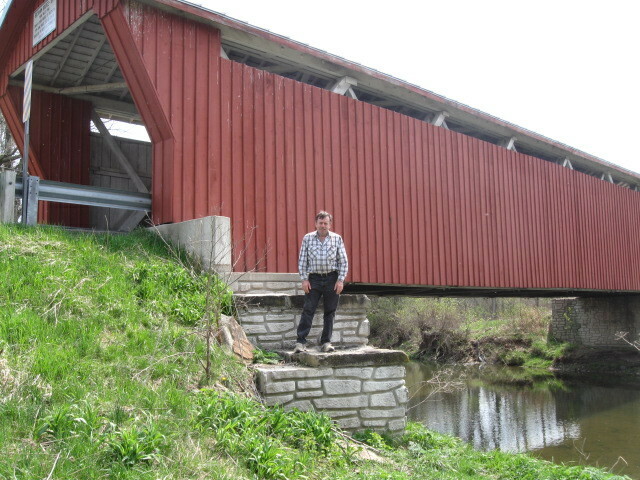 However I was not about to miss the covered bridge pictures sell! Well when the auctioneer selling off the tables got around to selling the covered bridge pictures. Much to my dismay he offered choice of the albums. I was not expecting that turn of events as I anticipated buying the complete lot of pictures for one bid. My other missed calculation was that no one else would be interested in the covered bridge pictures. The bidding started low enough to give me some encouragement. However the bid price quickly climbed to much more than I had planned to pay. However I really wanted these one of a kind covered bridge pictures so that one day when I had time I could feature these bridges on my website. Well when the bidding finally stopped I had the high bid. Not knowing if the backup bidder wanting just one album or all of the photo albums? I decided to buy all of the albums rather than chance the auctioneer offering the remaining albums to the backup bidder. Over the years I have missed buying some really great items by trying to get them cheaper the second time they are offered! Above is an example of one of the more rustic covered bridge pictures I bought that day. I still don't know how many pictures I bought LOL. I know that sounds odd but they have been in storage waiting for the day that I have time to scan them. The bridge pictured above is the Jack Hollow Bridge located west of Zanesville, Ohio. It is in Perry County, Ohio south east of the small town of Wesley.